OceanDive is a unique combination of a 3D marine life screensaver and a scuba diving exploration game. Behold the amazing undersea world of the living ocean! OceanDive takes you on a journey through the eyes of a scuba-diver, showing you stunning sub-marine vistas, shoals of fish, undersea caves, the coral reef, and much more! 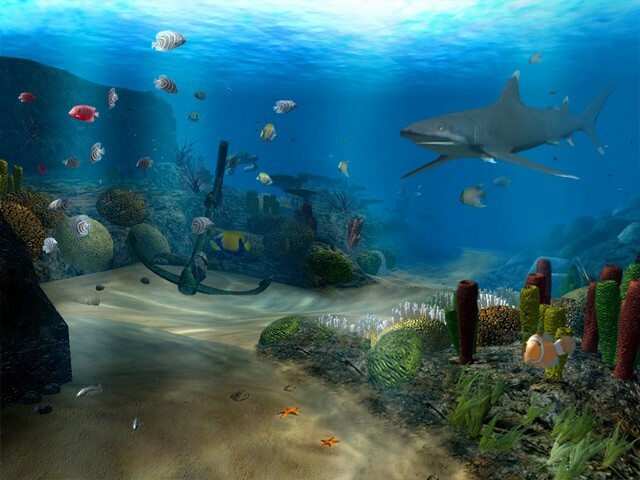 Buy OceanDive and get a new set of amazing underwater scenes AND a free undersea exploration game! ...... visibility? The exploration game gives YOU the freedom to find out! Qweas is providing links to OceanDive 1.3 as a courtesy, and makes no representations regarding OceanDive or any other applications or any information related thereto. Any questions, complaints or claims regarding this application OceanDive 1.3 must be directed to the appropriate software vendor. You may click the publisher link of OceanDive on the top of this page to get more details about the vendor.